Start car and turn on A/C to its highest setting, MAX COOL. 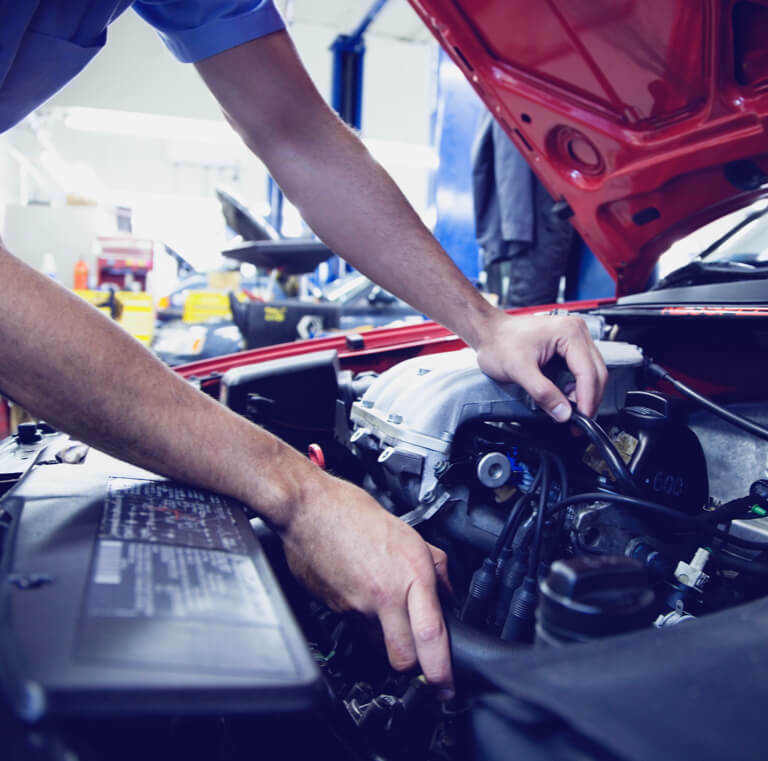 TIP – If the compressor is not cycling on, add ½ can of refrigerant using instructions 5-8. Locate the vehicle’s low-pressure port on the larger-diameter aluminum tubing, between the compressor and evaporator. Remove the plastic cap from the port and save. Visit our port locator for help locating your low-pressure service port. Attach the quick-connect fitting on the end of the recharge hose to the low-pressure port (the only port onto which it will fit) by simply pushing the fitting onto the low-pressure port; you will hear a click. DO NOT PULL TRIGGER, as doing so will release refrigerant from the vehicle. Check reading on gauge. Read pressure when the clutch is engaged. 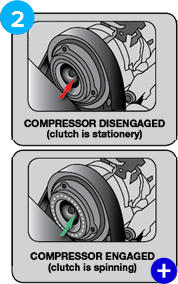 If the compressor is cycled on and the pressure is in the red, do not attempt to recharge. Seek professional help. Thread recharge hose onto top of can. Connect recharge hose to low-pressure port (refer to instruction #4). Remove top cap and press button to dispense. Hold can upright to charge, shaking and rotating it from 12 o’clock to 3 o’clock every few seconds. 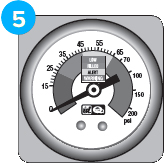 Release the button frequently every 10–20 seconds to check the system pressure. Continue this process until the system is fully charged (i.e., the psi is in the BLUE zone) or the can is empty. BE CAREFUL NOT TO OVERCHARGE YOUR SYSTEM! It is possible that the can will not be empty when finished. 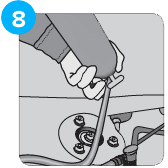 In this case, after disconnecting it from the vehicle, you can leave the recharge hose on the can or remove it for future use. Store in a cool dry location. If the can is empty, hold upside down for one minute to dispense any remaining product. Disconnect from vehicle, then simply unscrew the recharge hose and discard the can. The recharge hose may be used again with another can of EZ Chill® R-134a refrigerant. Replace the plastic cap you removed from the port during instruction #3. TIP – It is normal for the recharge hose and gauge to hold pressure after use.